Looking for a hotel break with a difference this spring? Book in at the Crowne Plaza Newcastle, Stephenson Quarter, a stunning, elegant hotel in the heart of Newcastle city centre. We even have an overnight stay with Sunday lunch to be won. 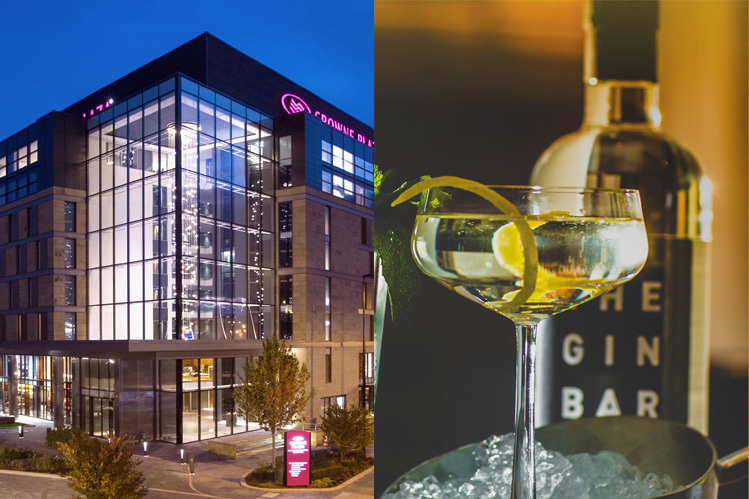 You can create the perfect weekend away at the Crowne Plaza Newcastle Stephenson Quarter, as the hotel has it's very own Gin Bar. April is the month of the Bareksten Takeover where you can take part in The Gin Bars’ Gin School. Enjoy the relaxed and intimate ambience of The Gin Bar whilst learning all about the history, science and art of gin from a different award-winning distiller. Of course, you can sample some of the great gins too. You can also hit the hotel's gym, treat yourself to a spa day, meet up with friends over afternoon tea or have a day off from the cooking and sit down to a delicious Sunday lunch.